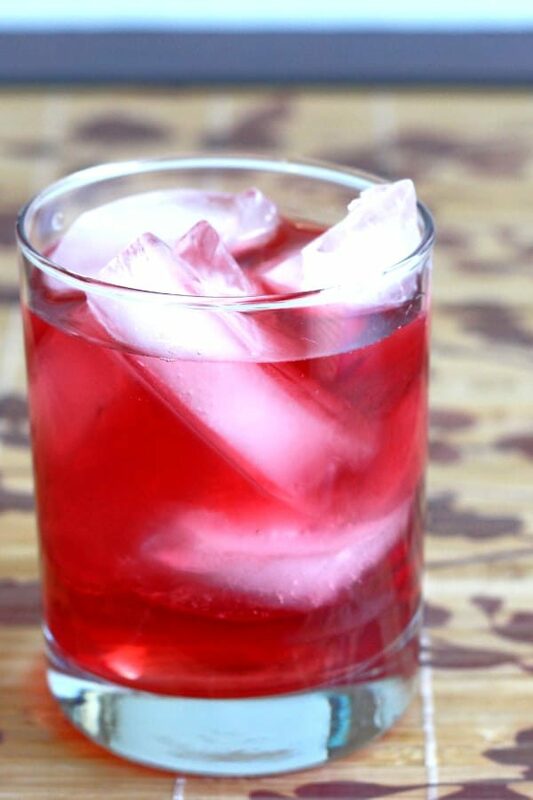 More vodka, plus a little cranberry liqueur to bring out the sweetness of the overall cranberry flavor. And yet you can still almost think of it as a healthy drink, what with the four ounces of cranberry juice. Almost. The Desert Shield cocktail is great for evenings out, or for sipping along with dinner. It’s totally unpretentious, even to the point of leaving out the lime that the Vodka Cranberry incorporates. This drink is just pure cranberry flavor. It’s worth using a nice, smooth “top shelf” vodka in this one, because you will taste it a little bit. 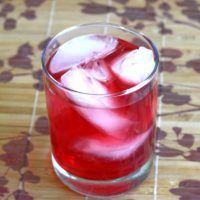 When we say “cranberry juice” in recipes, what we mean is actually a cranberry cocktail juice. Pure cranberry juice is so tart it’s almost undrinkable on its own. So the “cranberry juice” you find in the stores almost always contains other fruit juices, like pear and apple. This is what you’re after for this drink. 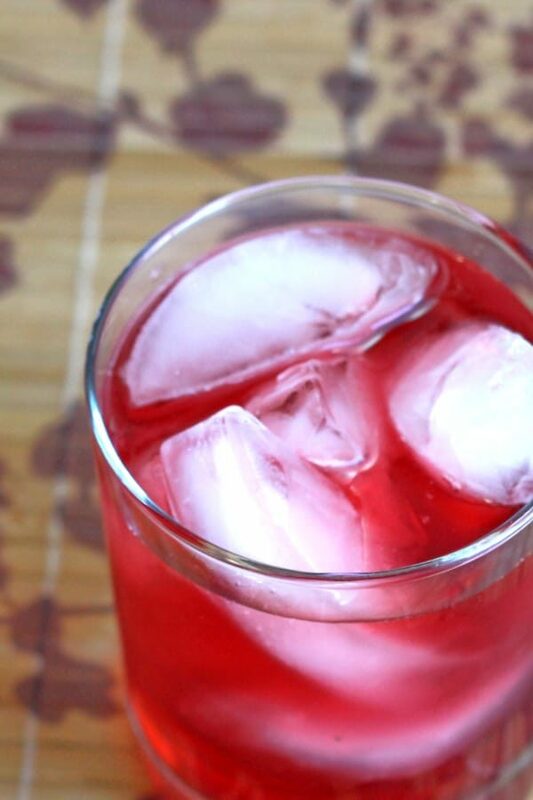 The cranberry juice you choose can make a difference in this drink. Some blends are sweeter than others, and the best way to tell is to look at the label and serving size. Some have up to 30+ grams of sugar in an eight ounce serving while others have as little as 8 grams in the same size serving. Because the cranberry liqueur adds some sweetness to this drink, I’d suggest a lower sugar juice, unless sweet is what you’re after. For a low sugar organic cranberry juice that isn’t from a concentrate and has no added sugar or artificial sweeteners, I recommend Lakewood’s Pure Fruit Cranberry Juice. It’s just fruit juice. Again, it’s not 100% cranberry juice. It’s a blend of cranberry, pear and apple. And it’s low sugar – only 11 grams per 8 ounces – yet really delicious. This is one of my favorite cranberry juice blends. The Desert Shield, like its cousin the Vodka Cranberry, is great for an evening of dancing. 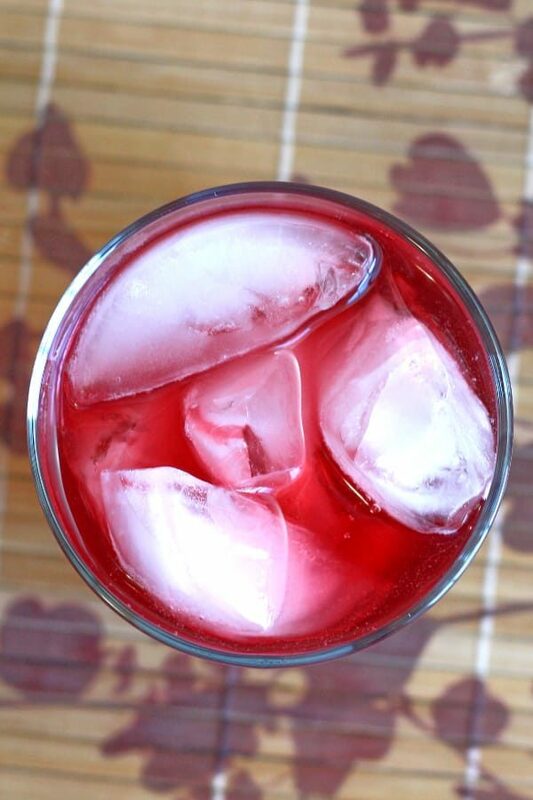 The cranberry juice rehydrates you and puts some much-needed vitamins back into your system. But it’s also great for sipping along with dinner. It goes surprisingly well with a good, nicely charred steak. Or juicy grilled chicken. The Desert Shield cocktail is like an upgraded Vodka and Cranberry. It adds cranberry liqueur and changes some of the ratios. Pour everything into a highball glass with some ice cubes.